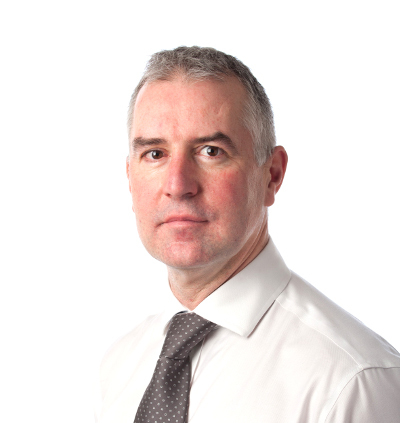 Alan Gordon, principal commercial partner in the Glasgow North office of DM Hall Chartered Surveyors, considers the opportunities that challenger banks provide to the commercial property sector. Challenger banks have been nibbling at the ankles of major UK lending institutions with increasing enthusiasm for some years now with the result that a whole new realm of opportunity is opening-up for commercial property owners and developers. Banking in Britain used to be diverse, regional and primarily focused on servicing the needs of local businesses until decades of consolidation and globalisation reduced the pool of potential funders to a powerful few. While the traditional lenders actually sound like banks, the names of some of the challenger banks seem deliberately designed to point up the adventurous, almost upstart, nature of their foray into a big boys’ game. Consider Atom Bank, the Bank of Dave, Bofin, Coconut, Copernicus, Fiinu, Fire, Marcus and Thincats – the last, a play on the much-derided banking Fat Cats who are supposed to have caused the recession in the first place. More widely known are names like Metro Bank, Britain’s first new High Street bank in more than 150 years, Aldermore, which floated on the LSE three years ago, and recent UK newcomer Marcus, backed by Goldman Sachs. The names may seem glib, but the business they are doing is serious. Thincats, for instance, recently secured substantial institutional funds to lend into the SME sector with loans of between £100,000 and £10 million. Unlike some of the retail banks, the challengers are not re-purposing savings and deposits but are tapping into the massive liquidity of investment funds and pension funds and using Fintech to create a mutually beneficial lending circle. This is of particular interest to the commercial property sector since there has been a significant shrinkage in lending from traditional sources. Heavily regulated bigger banks have retreated to lower risk, or larger-scale transactions. They have, also as a consequence of their size, largely abandoned the concept of a tailored and personalised face-to-face service, something that was often a deciding factor in lender choice, particularly among small business owners. Because they are arguably more nimble – and, realistically, because they have fewer customers – the challengers at the moment are able to redesign relations between lender and customer, based more on a partnership model. Fintech is the rock on which the new banking is founded. Its sole purpose is to improve activities and processes in finance. But it now represents technologies which are disrupting traditional services, including mobile payments, money transfers, loans, fundraising and asset management. With the rise of the challengers, we are in a new lending environment, particularly in Scotland, where business owners, landlords and developers are largely older than their prospective lenders. This is a complete reversal of the norm. It is generally accepted that small to medium enterprises will be the last to transition to Fintech, a natural resistance which challengers have factored in to what they expect to be a five- to 10-year play. It is vitally important therefore, that the commercial property sector not only becomes aware of the opportunities afforded by a transformed lending environment, but goes into it with its eyes open. That means taking advice from professional advisers who have guided them in the right direction in the past. The future may be challenging, but it could also be extremely rewarding. Mortgage debt funding is the essential fuel which enables property markets to function. Prudent new entrants to the lending market who are willing and able to support the SME Commercial Property sector should be welcomed with open arms. Alan Gordon is principal commercial partner in the Glasgow North office of DM Hall Chartered Surveyors. This article first appeared in The Scotsman.